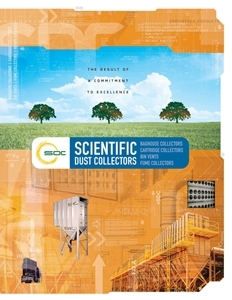 Learn more about Scientific Dust Collectors Product Lines, Features, and Capabilities. To download the SDC Core Products Brochure Click Here. 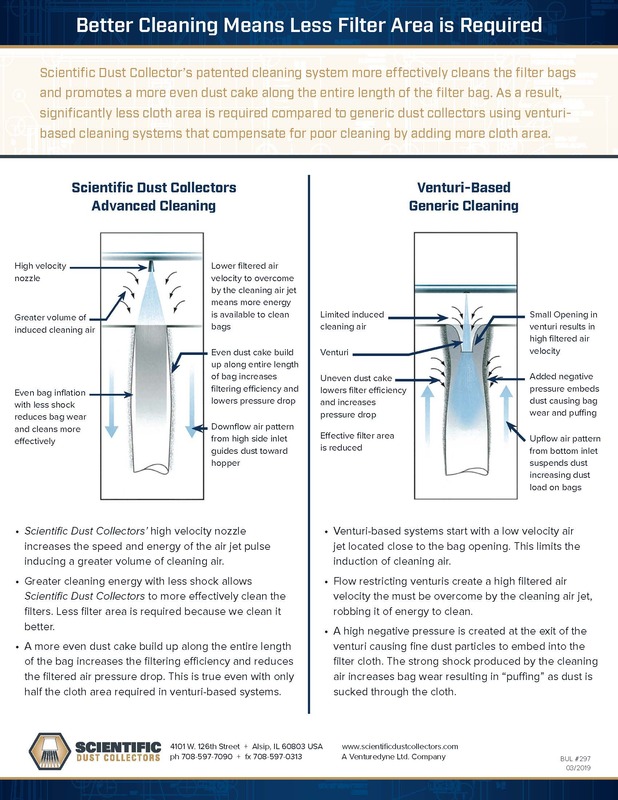 Learn the facts about Scientific Dust Collectors Advanced and Patented Cleaning system compared to the Venturi-Based Generic Cleaning System. To download the Collect the Facts Brochure Click Here. Why is SDC's Baghouse superior to our competitions? 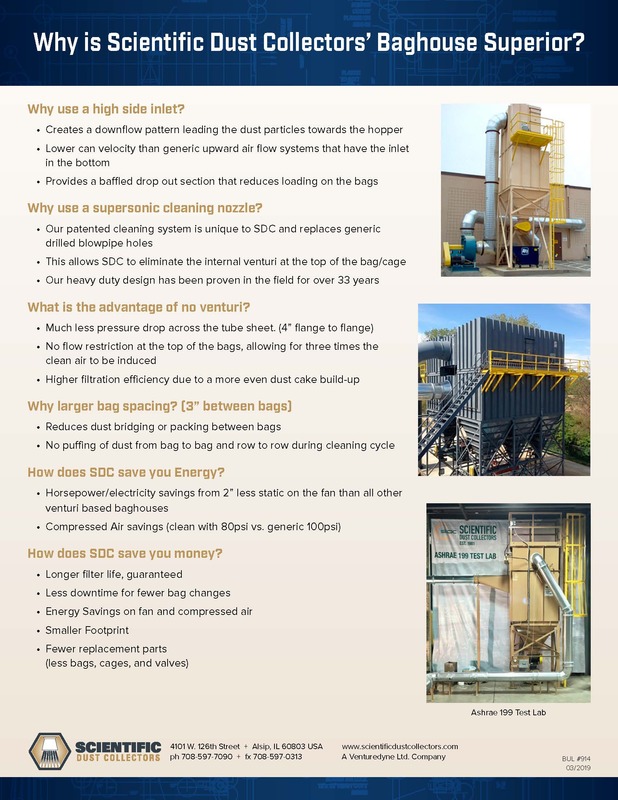 High Side Inlets, Patented Nozzle Cleaning, No Venturi Design, and Wide Bag Spacing included in our standard design features that are unique in the dust collection industry are the keys to our success. To download the SDC Baghouse Advantages Brochure Click Here. Take a look inside a Scientific Dust Collector Baghouse and see how we offer a reliable dust collector with less filter media. 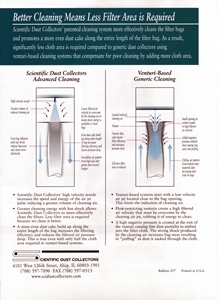 Our patented cleaning system eliminates the industry standard venturis that restrict flow and increase pressure drop. To download the Discover the Difference Brochure Click Here.